PayMaya, the country’s pioneer and leader in mobile money and digital payments, launched Travel Blowout promo to treat the millennials with a chance to travel to Hong Kong, Indonesia (Bali), and Japan with family and friends for free. 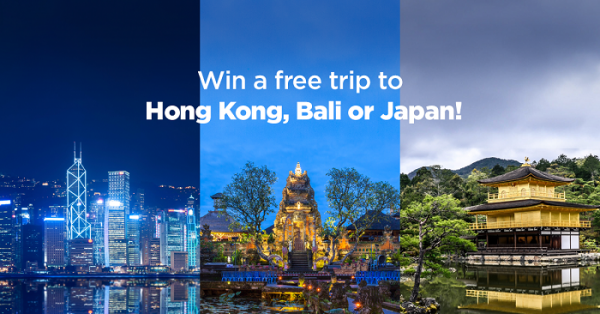 Each month from February 1 to April 30, 2017, one lucky PayMaya user will win an all-expense-paid trip to Asia’s most exciting destinations starting with Hong Kong this February, Bali in March, and Osaka and Kyoto in April. The prize includes roundtrip airfare and accommodation for four to bring family or friends, and Php50,000 pocket money to shop, dine and enjoy the whole travel experience. Each trip is arranged by a travel agency partner so the winner is set to see and enjoy the best that each country has to offer. To earn raffle entries, consumers just need to download, activate, and use their PayMaya app or card. The following activities are equal to one raffle entry each: downloading and activating the PayMaya app, purchasing and activating the physical card, purchasing using the app or card with a minimum single receipt of Php1,000.00, having the account upgraded and approved, and paying bills in-app. Consumers can keep on transacting as desired to earn more raffle entries. “Millennials love to travel to see the world for themselves, gain unique experiences and tell stories from these adventures. PayMaya has always strived to widen their travel opportunities by providing a means to pursue their passion even without having a credit card,” said Paolo Azzola, Managing Director and co-COO, PayMaya Philippines. 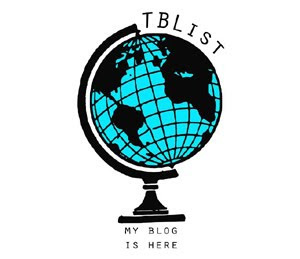 “We are thrilled to offer the Travel Blowout promo and further enable millennials to pursue what they love, seize the moment, and live in the here and now. This is also our way of thanking our valuable customers who are mostly millennials, this generation’s #NowNation,” said Sharon Kayanan, Brand and Marketing Head, PayMaya Philippines. PayMaya, which remains to be the no. 1 most downloaded Finance app on the Play Store – Philippines, can also be downloaded on the App Store for free. To start using the app, all the user has to do is register with any Philippine mobile number, fill out basic information, and load up the account using the registered mobile number. For Globe subscribers, you will get an instant virtual Visa card while for Smart, Sun, and TnT users, you will receive the Mastercard version. PayMaya works anywhere Visa or MasterCard is accepted. The physical cards can be purchased at https://paymaya.com/shop/, free of delivery charges nationwide. Users can load up their account at any of the over 15,000 touchpoints nationwide including Smart Padala centers, 7-Eleven Cliqq Kiosks, Ministop Touchpay Kiosks, UnionBank ATMs, BDO online banking, SM Malls Business Centers, and Robinsons Department Stores among others. PayMaya users can upgrade their account by scheduling a video KYC (know your customer) at @PayMayaOfficial on Facebook to enjoy peer-to-peer mobile money transfers and cash withdrawals at any Bancnet ATM. PayMaya Philippines is the pioneer in mobile money and digital payments with established brands such as PayMaya, the first prepaid online payment app that enables the financially underserved to pay online without a credit card; PayMaya Business, the company’s system solutions provider that allows businesses to receive online and card payments anytime, anywhere; Smart Money, the world’s first e-wallet linked to a mobile phone; and Smart Padala, the leading mobile remittance network in the Philippines. PayMaya Philippines is the digital financial services arm of PLDT and Smart’s digital innovation unit, Voyager Innovations. For more details about the Travel Blowout promo, go to https://stories.paymaya.com/travel-blowout-promo-paymaya/ . For more information about PayMaya, visit www.paymaya.com. Engage with us on social media at: facebook.com/PayMayaOfficial, or @PayMayaOfficial on Twitter and Instagram.